Norwegian’s next new build to seasonally homeport in Seattle from Summer 2018. Norwegian Bliss will be the ultimate ship for Alaska cruising, with hull artwork designed by marine mammal conservationist Wyland. 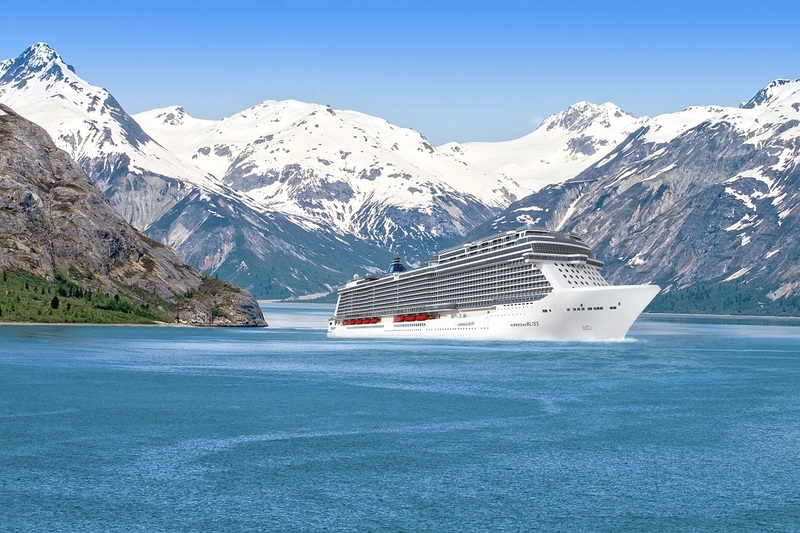 Norwegian Cruise Line will once again pioneer a new era of Alaska cruising from June 2018, as the company has announced that its next new vessel, Norwegian Bliss, will be the first cruise ship custom-built for the ultimate Alaska cruise experience. Norwegian Bliss will cruise to America’s Last Frontier from Seattle and will be the first Norwegian Cruise Line ship to make its debut in the Emerald City. At a ceremony held at Port of Seattle’s Pier 66, Norwegian President and CEO Andy Stuart shared the exciting news, alongside Port of Seattle CEO Ted Fick and Port of Seattle Commission President John Creighton. Norwegian Bliss, the third ship in the line’s Breakaway Plus-Class, is designed with features and amenities to offer guests the ultimate Alaska cruising experience. At approximately 167,800 gross tons and accommodating 4,000 guests, the ship will be constructed at Meyer Werft in Papenburg, Germany and scheduled for delivery in spring 2018. After a transatlantic cruise and a Panama Canal transit through the new locks, the ship will sail north along the West Coast, reaching Seattle for the start of the summer cruising season. Norwegian Bliss will sail a seven-night Alaska cruise every Saturday from Pier 66 in Seattle, offering guests the premier way to see America’s last frontier, while also providing all of the innovative features, entertainment, signature dining and on-board experiences that Norwegian Cruise Line is known for around the globe. The ship’s itinerary will feature calls in Ketchikan, Juneau, Skagway and Victoria, Canada, along with scenic glacier cruising. Continuing Norwegian’s tradition of decorating each ship’s hull with signature art, Norwegian has also announced that the world’s premier marine life artist, Wyland, has been commissioned to design the hull artwork for Norwegian Bliss. Known for his iconic whale murals, marine life paintings and sculptures, Wyland has inspired generations to be passionate about the importance of marine life conservation. The enormous extent of Wyland’s public artworks, his award-winning art galleries and his non-profit foundation’s community service projects have made him one of the world’s most recognised and beloved artists. His engaging and beautiful design for Norwegian Bliss’ hull art will be revealed later this month. To further enhance the overall guest experience for cruisers from Seattle, Norwegian’s parent company, Norwegian Cruise Line Holdings, has entered into a groundbreaking 15-year agreement with the Port of Seattle to collectively invest $30 million to upgrade the Pier 66 facilities. Including an expansion of guest check-in space by 300% to more than 150,000 square feet, a new VIP lounge with expansive views of Elliott Bay and the addition of two new elevated passenger boarding bridges to provide easy and comfortable passenger boarding, the new amenities will provide guests with the perfect send-off to start their Alaskan adventure. Norwegian Bliss will feature amenities and interactive experiences that will excite and inspire, and more details on the ship’s accommodations, dining and on-board offerings will be shared in the coming months. The ship will be available for reservations in January 2017. To book a cruise aboard one of Norwegian’s newest ships, contact a travel professional, call Norwegian at 0333 2412319 or visit www.ncl.co.uk.